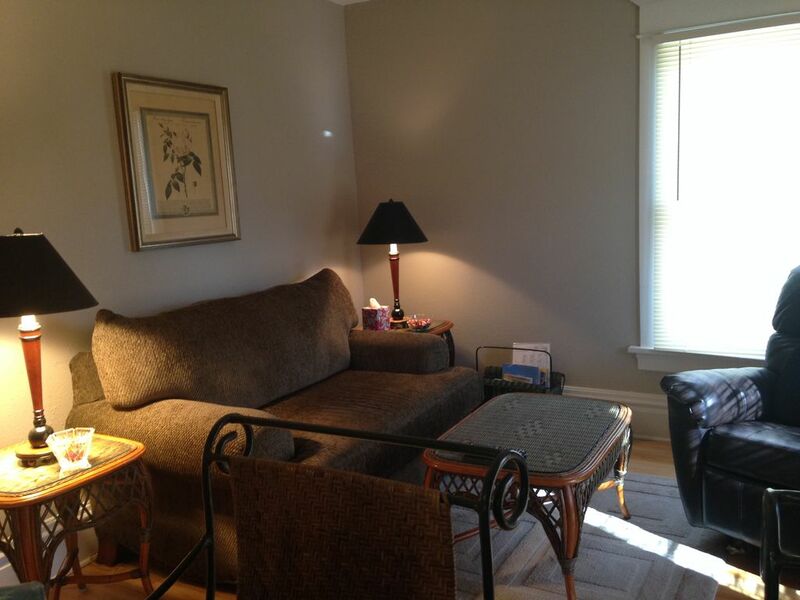 Clean, quiet two bedroom 2nd floor apartment is available for short or longer stays. Built in 1906, you'll appreciate the maple floors and birch trim. Why stay in a chain hotel when you can have a home away from home close to downtown, Lake Winnebago, WIOWASH trail, the University and countless festivals and activities? Guests have commented on the quite comfort, the convenient location and how nice it is having a full kitchen and full-sized washer and dryer in the full bath. We are native Wisconsinites. We love to play tennis, fish and alpine ski. Please allow us to make your stay here comfortable and enjoyable. Our apartment is well-maintained, clean and pet-free. The apartment is directly above a financial firm, so quiet both during the day and night. Oshkosh is 54 minutes to Lambeau Field and 26 minutes to Appleton Airport. Oshkosh is the Event City and there is never much down-time. Stay with us and enjoy EAA, Country USA, Rock USA, the Miss Wisconsin Pagent, countless fishing tournaments and Water Fest in the summer. Many guests use this as a base for travel to Appleton, Green Bay or Fond du Lac. What a great apartment for weddings and reunions! One block to Main Street, bars, restaurants, shopping and seasonal farmer's mkt. One block to City Hall and Cty Courthouse. Three blocks to city bus terminal. Six blocks to Convention Center. We are not on Lake Winnnebago. However we are two miles to nearest boat launches on the Fox River. One at Senior Center, one just past the Convention Center. Pass required for daily launch. We are not on the Fox River. The Fox River system leading to Lake Winnebago, Lake Poygan and beyond is a close boat launch away. Bus Stop Across the Street, Must take outside stair to apartment. Home away from home-we didn't want to leave! This place is special-the owners went above and beyond to make us feel welcome and the apartment itself is darling! It is clean and roomy, with such neat details from the wood floor to the beautiful casings around the doorways. The kitchen has everything you need to make a meal from utensils to hot pads. The location is walking distance to the UWO campus which made it easy for our daughter (UWO student) to come spend the night with us and still attend classes the next morning. The owners were in touch with us throughout our stay and felt like friends by the time we left. We can't wait to come back! Thank so much for the nice review! I agree, wish we could have met. The frosted mugs were the deal! This apartment was very comfortable and felt much like our own home. Everything was clean and fully equipped for our needs. Amenities like washer and dryer, small grill on the deck, and WiFi/cable TV were perfect. It is located very close to restaurants, entertainment, shops, farmers market and just about all you wil need. The business office below is quiet and only works weekdays, providing a quiet, private atmosphere. The owner went out of his way to make sure our expectations were exceeded. We'll be back! Oshkosh is the Event City. Partial list includes EAA AirVenture Museum, Fly-in, Hops and Props, Ice Fishing Tournaments, Sturgeon Spearing, LifeFest, Country USA, Rock USA, Miss Wisconsin Pageant, Waterfest, Irishfest. If you are bringing your student to UWO, this is the place for family to stay.